ARE you ready to ROCK some time management DIY style?! We are talking about managing your social media accounts, your personal profiles, and your daily to do's all on one SIMPLE EASY to use list!! Are you interested? Remember you can use this concept for pretty much ANYTHING!! From some of the messages I get... I know there are quite a few of you that are following my blog and have been bitten by the same OCD bug that now DRIVES me. Whether you are a stay at home Mom or a working MOM running your business is all about BALANCING your day. Trying to organize everything is madness... I mean where do you start? You don't need an AMAZING upline to have a killer business... you just need DRIVE & a LIST. Here recently I found myself without a printer and I know MANY of you may be facing that situation as WELL!! Printable's are AMAZING but let's just say it's not an option for you. HERE is where I started, now it's time to get back to my roots --->There is also a printable (I seriously couldn't help myself hahah) BUT... here is how you can create your OWN master lists. B. PINK: Live posting (all networks) ---> these are the groups and networks I go live on. Challenge group- I usually always post live to my challenge group because I create daily images to go with the posts. Team group Check-ins- Here is where I check in with all my team groups for news, updates, questions, problems, etc. Instagram- I honestly have to remind myself to post here. I don't really use instagram as much as I do facebook, pinterest, & blogger. C. BLUE ---> FACEBOOK scheduled posts. These are the posts I schedule in advance to different areas of my facebook network. You can schedule a day in advance (at the minimum) or for an entire week or month. 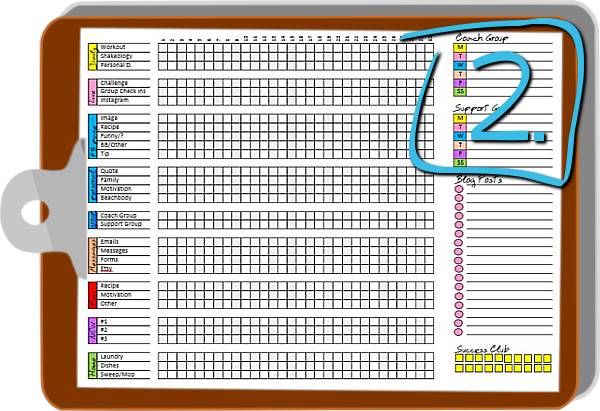 Page: I use the FB post scheduler to schedule almost ALL of my page posting. If you don't know hot to schedule your posts on a facebook fan page click HERE. 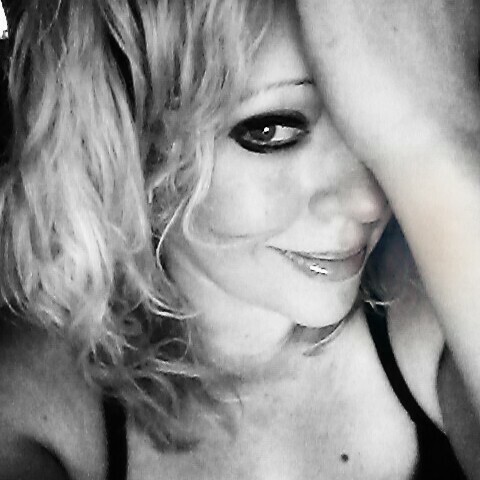 Personal: I use hootsuite to schedule all of my personal profile posting (quotes, images, etc.). If you want to have the ability to schedule images (on your personal timeline ONLY), you must have your account linked to twitter in addition to facebook. MY groups: Images don't schedule well in groups with hootsuite so I usually limit these posts to text or links. I usually only use this for scheduling posts to my coaching team group and my support group. ON occasion I will also use it on coach training groups, challenge groups, and free weekly groups! E. RED: This section is completely about pinterest the boards I want to pin to! F. Purple: New contacts <---LETS face it, this business is all about reaching out to new people. Here is where I stay accountable for moving my business forward by setting a daily goal of 3 new contacts, friends, or clients. G. GREEN: Household CHORES! Ok so who doesn't have these?? This is pretty much a list of the tasks I want to accomplish everyday. This is my weekly (DAY by day) posting schedule theme... SS is weekend (Saturday/Sunday). 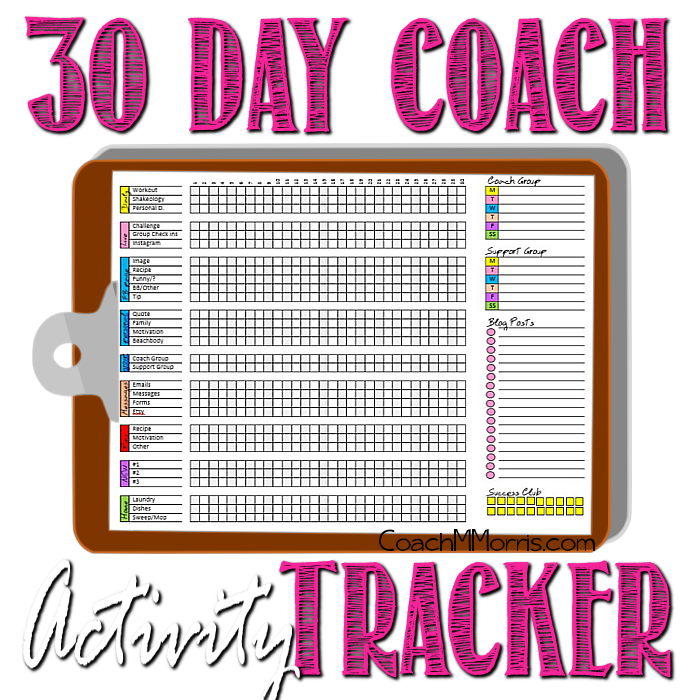 Here is where I plan the posting content for my coaching team group and my support group. I use hootsuite to schedule these posts in advance and tend to share posts that are either text or link. You can share social networking information, program information, nutrition advice, etc. This is where you get you MASTER plan for your group posting!! <---REMEMBER: if you fail to plan you plan to fail! I love having a GREAT posting schedule and a topic THEME!! Here is where you plan your blog post topics! You don't have to post everyday but you DO have to make a consistent effort to show up! Start out striving for ONE to TWO new posts each week and build from there! What I like to call the "SECRET sauce" to your business moving FORWARD!! Not hitting success club? LOOK at your daily activities? Are you moving forward or BACK... seeing everything laid out on one sheet is a great way to see what you are actually doing, and the reasons you are not hitting success club and areas you MAY be slacking!! BUT I incorporated it into my weekly group posting schedule. 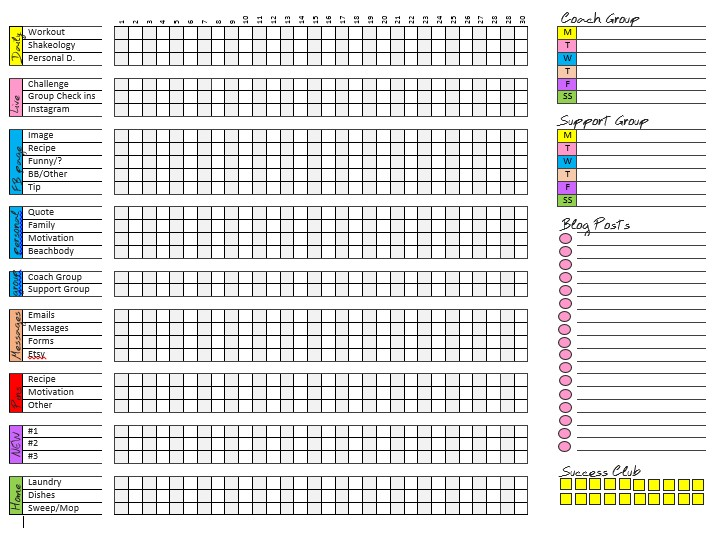 Here is my hand DRAWN graph paper version! Grab a ruler or just fold a page in half to help you create straight lines! Like I said initially... this is a totally DIY thing... you can pick your activities, networks, and main objectives! Do WHAT WORKS best for you!! 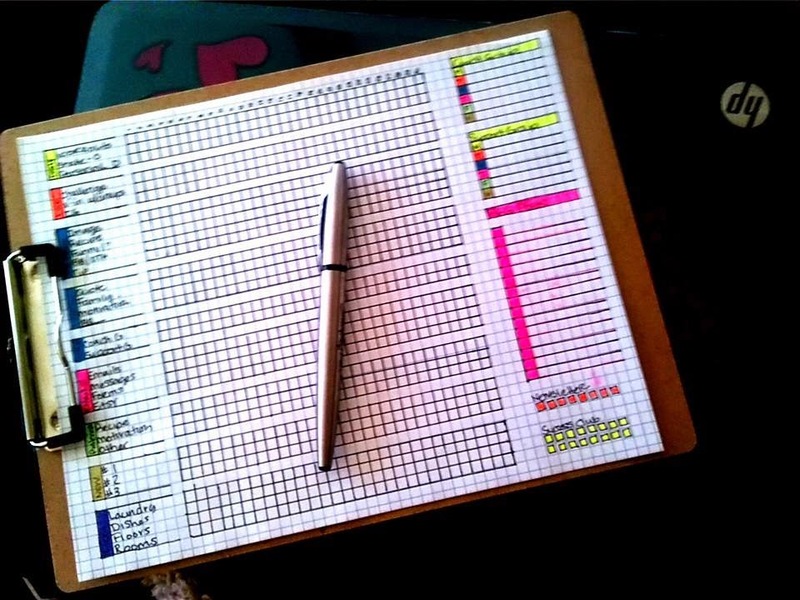 Grab your graph paper or create something on word (P.S. 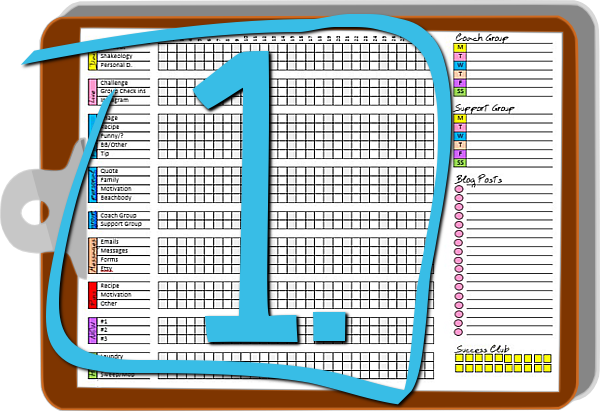 this is just a word document with an added table and some creative text layering) <---PLAY around to find out what works best for you whether you are rocking the paper of you are creating a new word file!! 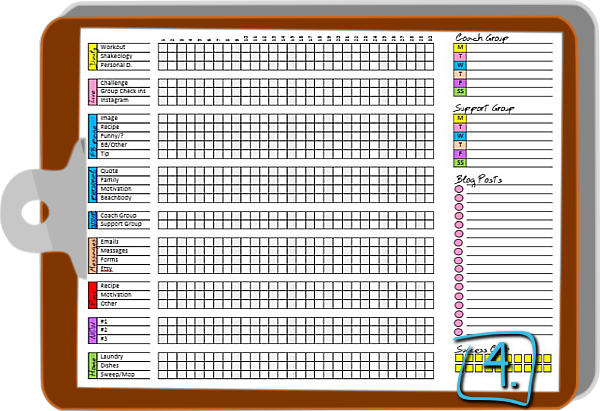 The downloaded version will be blank in the left side panel for you to create your OWN awesome lists! Thank you this is amazing! I struggle so much with getting organized and fitting everything into my schedule. I just found your site, love it! 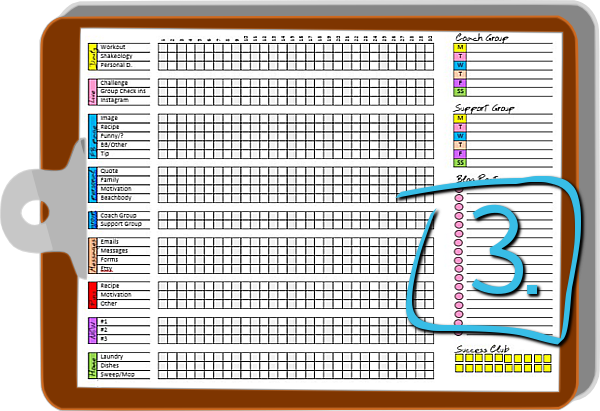 This is what I have been trying to create for myself to keep on track and not get overwhelmed. Thank you! I have no idea how to put into my drop box..hahahah is there a pdf? It's a download hosted on Dropbox. Once you click the link it should instantly download or give you the option to download it to your computer. how do you download a blank version? this is an awesome set up! I get an error message when I click download. Any suggestions? Also, thanks for being so generous - I love lists too! I just clicked the link to double check and everything appears to be working for me. It instantly downloaded to my computer downloads. I wont let me get to the download in dropbox. I just checked the download button and it instantly downloaded for me. Are you trying to download it from a computer, ipad, or smartphone? Love the idea! I created a speadsheet version for myself based on yours. I continue to get an error message as well. Would love to use this! Please check the settings you have for who can have it. Do I need to be a contact of yours to get this download from dropbox? is it open to all? Do you have an online editable version? You know that American Sociological Association has established this parenthetical referencing style to make the structure of sociological articles clear. It refers to the author-date documentation system? Here's a great guide on asa citation for you guys.